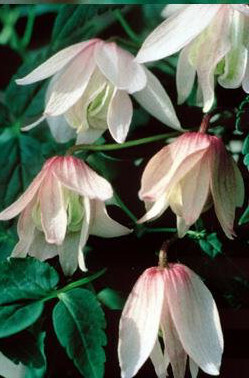 Pink Flamingo Clematis: very early, incredible pink and white flowers. Start your clematis season with a bang! A bi-colored alpine clematis - Irresistible!! Early flowering and no need for you to prune.